This private car photo tour of Rome started from the stunning Hotel Boscolo found in Piazza della Repubblica. Reaching the Roman Colosseum as the first location. Where we had a privileged sweeping view of the colossal monument from a nearby side hill. Some interesting pics came out when we photographed in the grass out of the urban context. With nothing more than the Coliseum and wild grass the image seems of a very long time ago! 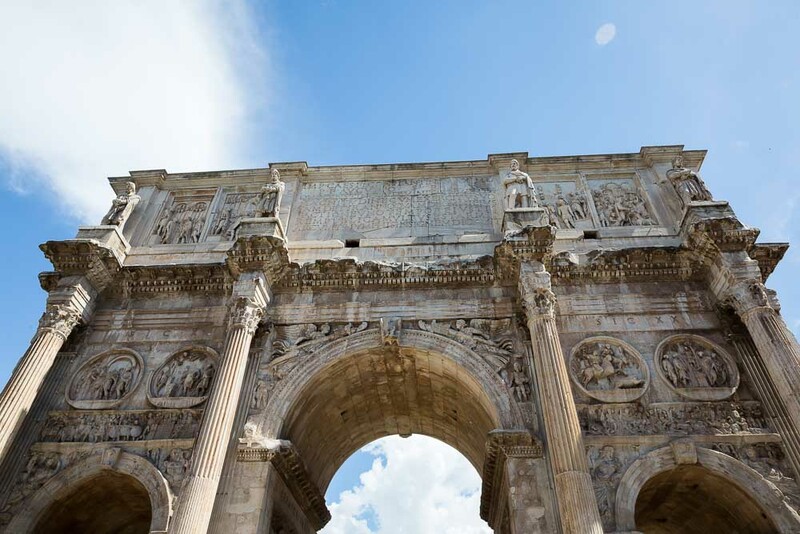 We then drove around the monument in order to reach the other side of it where we stopped to view and photograph Arch of Constantine. The photo tour continued to the Roman Forum viewed again from above ground where we had a chance to see it in all its sweeping beauty. Then we walked over to Piazza del Campidoglio admiring the central equestrian statue of Marcus Aurelius. Our next stops were the Roman Pantheon and Fontana di Trevi. 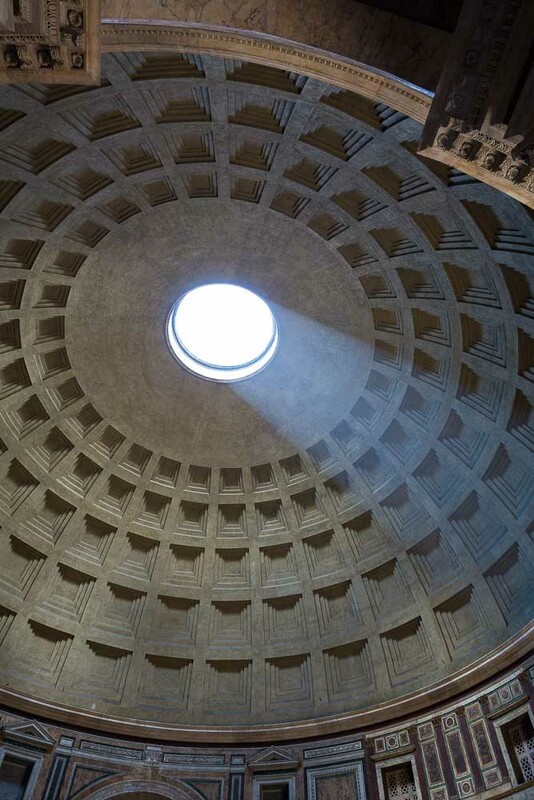 We were able to get some stunning imagery at the Pantheon with light shining in through the ceiling hole above. As well as some nice images by the baroque fountain out in front. 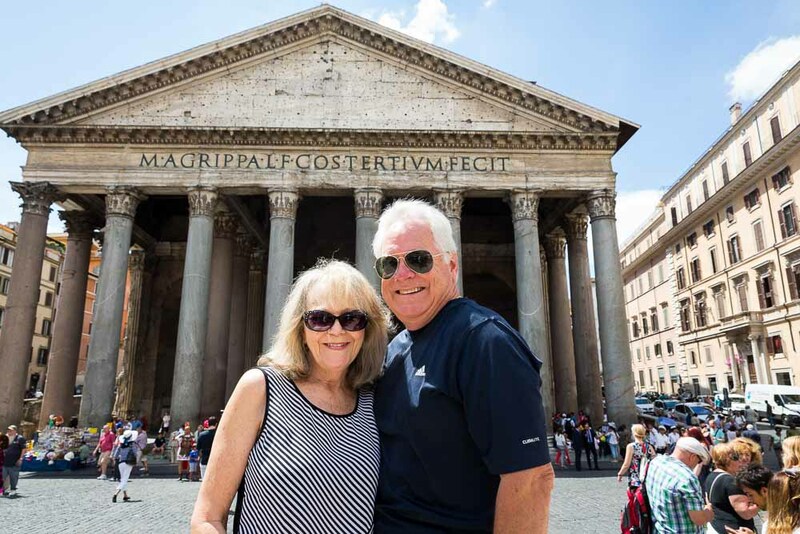 We couldn’t skip viewing the beauty of the Trevi fountain even though it was still under repair. So we drove by real quick to snap a quick photo when throwing a coin inside. We left one of the most majestic locations to view last. Saint Peter’s Cathedral in the Vatican city. A great way to end this car tour of Rome. 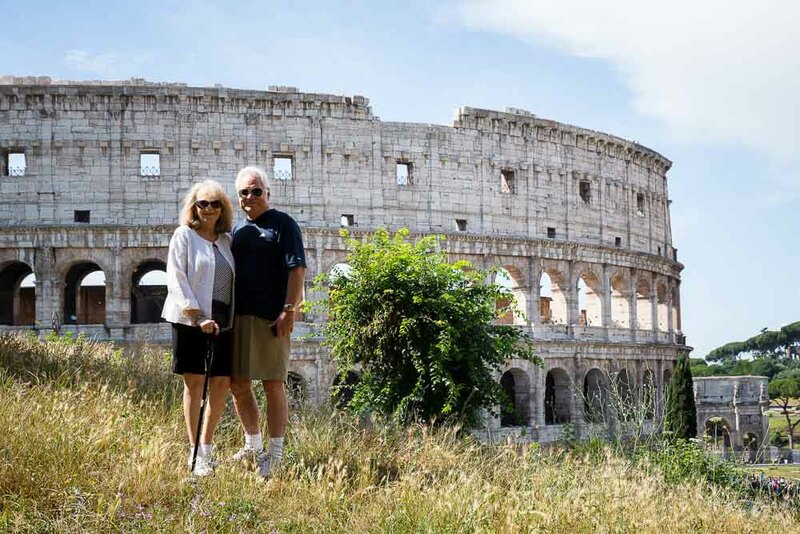 A 2 day photo excursion through the ins and outs or Rome. Including the off the beaten track places. A unique tour opportunity. 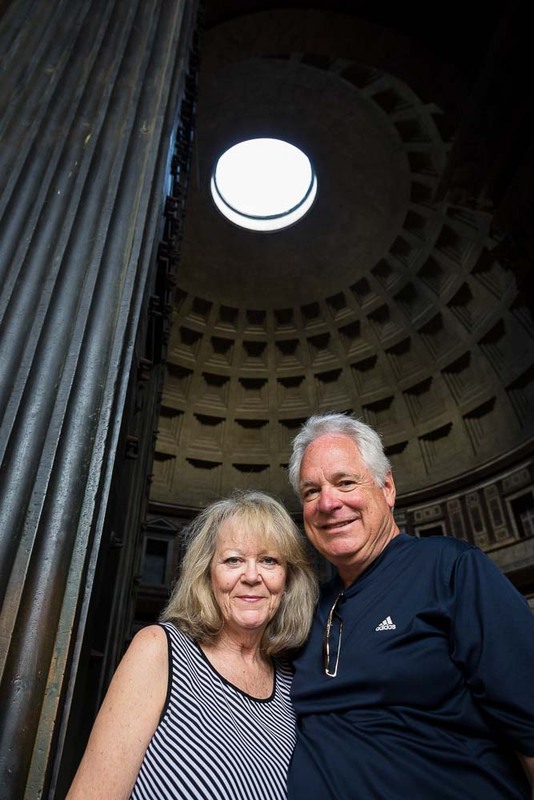 The best of Rome Church and Basilica photo tour. Family photo session in around the Coliseum.